The Bates Numbering Machine (also known as the Bates Stamper) was invented in the late 19th century by Edwin G. Bates. Mr. Bates had one objective in mind – to simplify and increase the effectiveness of document identification and information retrieval. Back in the old days, this was a manual process. Each page had to be hand stamped with the Bates Stamper in order to index the page with a four-digit sequence. Fortunately, with the transition from paper to electronic documents, this manual method was phased out. Now, thanks to the rise of technology, documents can be “stamped” with Able2Extract. Bates Numbering, also known as Bates Stamping, is an indexing method used for legal, business and medical documents (PDFs in most cases). Bates Numbers are perceived as digital reference points used to uniquely identify and label each page in a set of documents. Bates Numbering is a feature that legal professionals welcome. After all, it’s mainly used in the field of law. Needless to say, legal documents can contain thousands of pages and indexing those pages with Bates Numbers makes retrieving information out of them an effortless task. By applying sequential numbering to PDF documents, you’re making the task of organizing and identifying important documents a lot easier. For instance, a paralegal can instantly search the document and locate the page containing information a lawyer needs to reference during a deposition. It goes without saying that this is a huge time and money saver. This is accomplished by assigning specific identifiers (numeric or combination of letters and numbers) such as case ID numbers, dates or company names to each PDF page. By default, Bates Numbers are located in the header or footer of the pages and can include a prefix and or a suffix or even to be combined with the existing header and footer text. 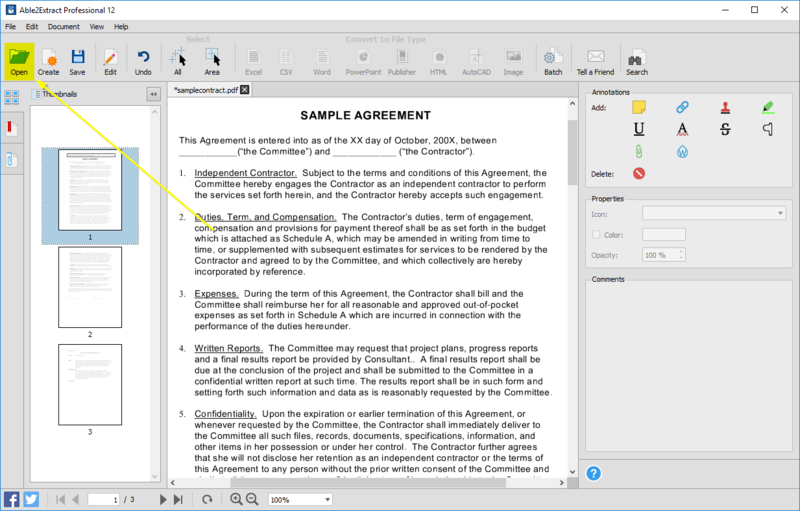 Now that you know some of the benefits of digitally adding Bates Numbers to your documents, it’s time to show you how to use Able2Extract’s Bates Numbering feature in the guide below. 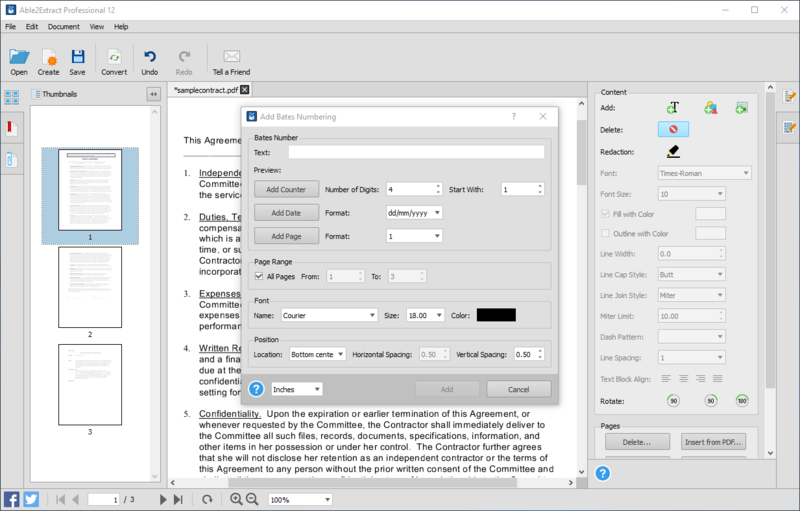 Able2Extract has a good handful of features for lawyers, with Bates Numbering being the most prominent one. 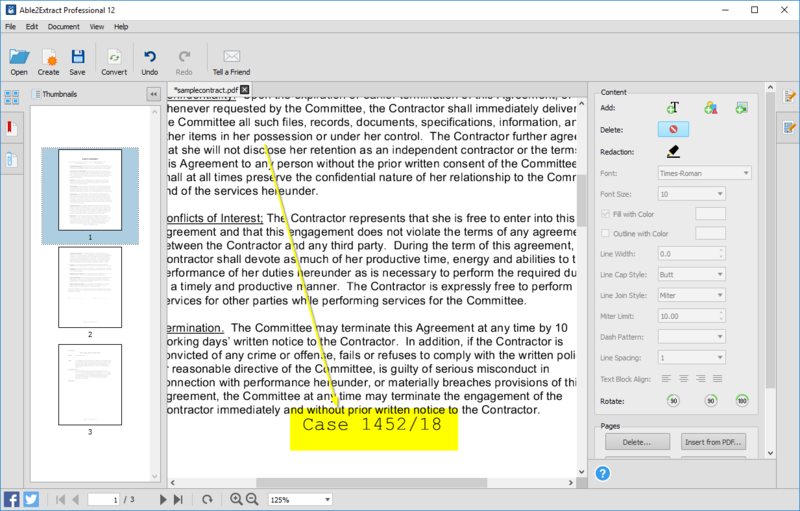 Here’s how to apply Bates Numbers to your legal PDF documents and get the most out of the feature. Open the PDF file you want to apply Bates Numbering to and switch to PDF editing mode via the Edit icon. Go into the Edit menu, navigate to the Bates Numbering option and click on Add… and a pop-up window will appear. 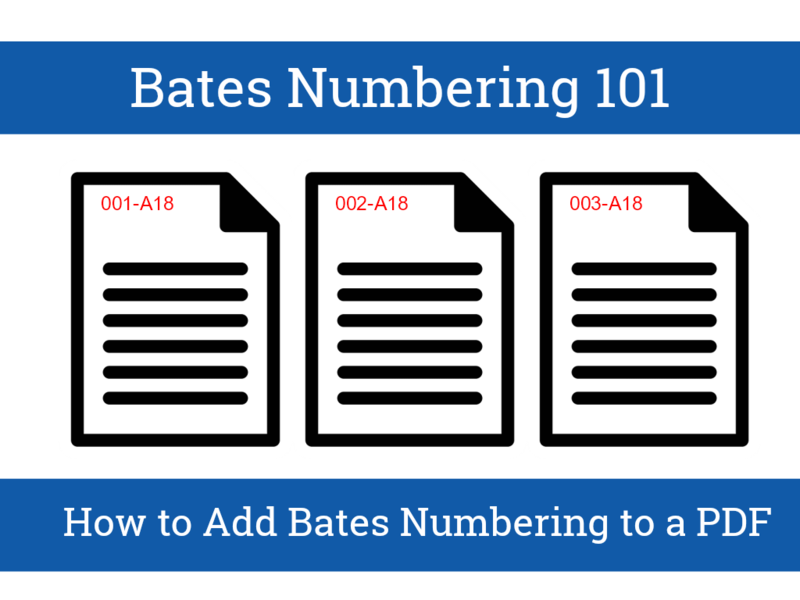 Once you’re done with configuring your Bates Numbers, just click on the Add button in the bottom of the window and determined Bates Numbering will be applied to the PDF document. 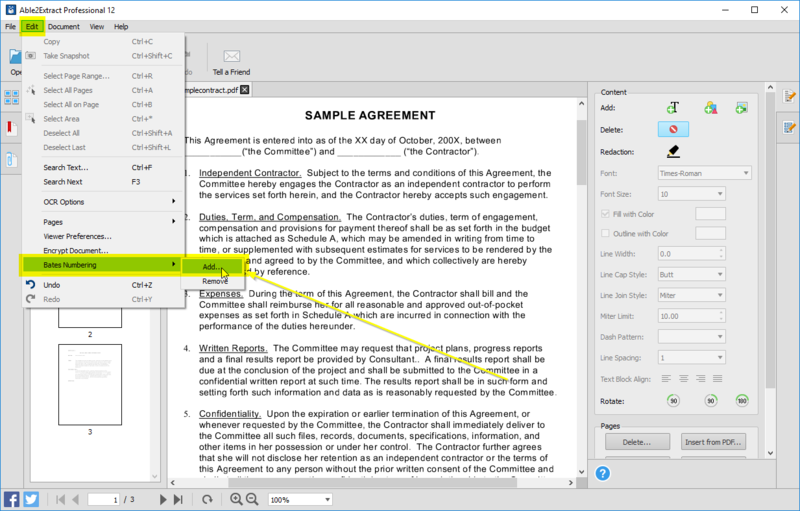 If you don’t need to make any further modifications to your PDF file, make sure to save the changes using the Save icon located on the toolbar. On top of that, if you want to save the file under a different name, go File menu>Save As… and input your new file name and saving location. *Note: If you want to Remove Bates Numbering or if you made a mistake and need to start from scratch go to Edit menu>Bates Numbering>Remove. Originally, it took people hours to properly label and process their paperwork. Today, no time is wasted on such a mundane task as sifting through and indexing PDF documents. The process is automated and complex documents can be handled in a matter of minutes. All you need is a professional PDF software and you’re all set to go. Have you already tried Able2Extract’s Bates Numbering option? How do you like it? Leave us your thoughts in the comment section below.